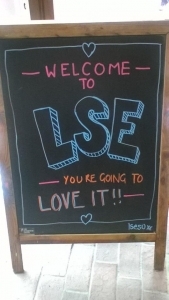 With the hype surrounding LSE’s academic rigor, I was a bit nervous to meet my peers and wondered whether I had what it takes to compete among them. I went to a mid-size, private Catholic university in southern California. I enjoyed the benefits of a personali ed liberal arts education, but I wasn’t sure whether my time at this intimate Jesuit institution was the proper training for the challenges I might find at a premier international university. 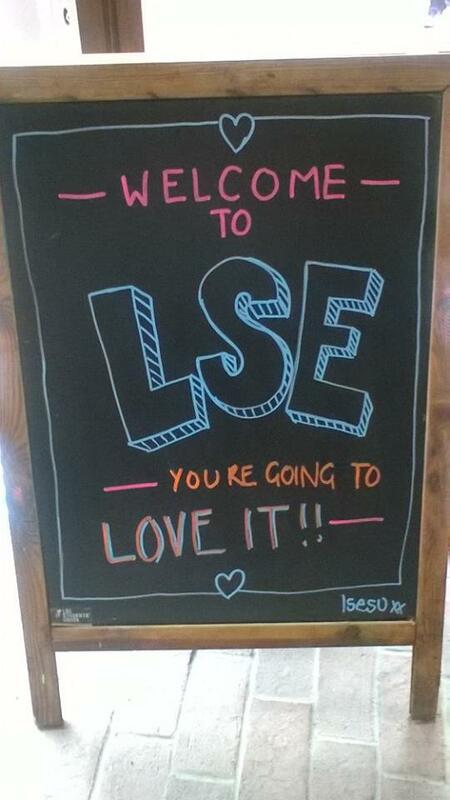 Yet, as I settle into life here and meet the students and faculty at LSE, I happily find they are very far from intimidating. It is true that they are accomplished, have varied backgrounds, and come from all over the world. However, I find them to be warm, receptive, and earnest learners. Though they’re all exceptional people, no one has been immune to feeling overwhelmed as we take on graduate studies. We’re all leveled by the initial challenges of adjustment, but the process has been made easier by taking them on together. Imposter Syndrome often strikes successful individuals who cannot internalize their success and is particularly common in high-achieving women. I can now happily say that I do not question whether I’m supposed to be here, but I thought I might offer a few encouraging words to folks that might not be settling in as comfortably. I’ve been feeling mostly calm and excited during this first week of lectures, but on Wednesday I was suddenly overcome by a bit of anxiety in the morning. I got a headache and my stomach was upset. As I rode to school on the tube, I repeated internally, “I am not my fear. I am bigger.” With this, I regained mastery over what felt like tyrannical emotion and I’ve felt centered for the rest of the week. Societal psychologist academically interested in social representations and personally interested in humanistic psychology.